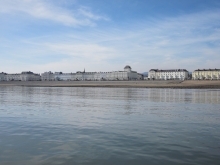 Three years ago this week, we bought our house in Llandudno. On the Monday afternoon, we viewed the house. Not only was it perfect, it was in the road we had chosen as the one where we would like to live. We arranged to go back and look at it again the following morning. Early on Tuesday, we walked to the cricket ground, discussing what to do. Move here? Seriously? Pack in our jobs and our old lives and just move here? Well, it's no secret. We took the chance and moved here. Best thing we ever did. My husband likes to say we went on holiday and bought a house as a souvenir. So I hope you won't mind if I indulge myself by sharing some of my favourite photos. 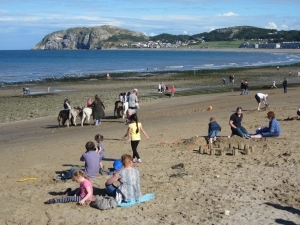 Donkey rides on the beach. 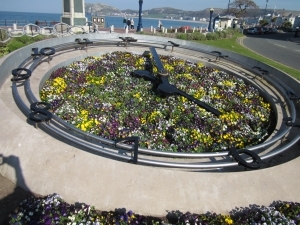 The flower clock on the promenade. Precision reversing! 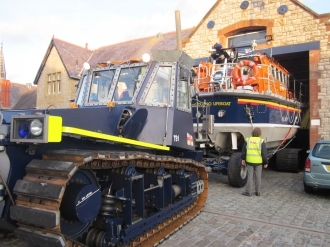 The Llandudno lifeboat backs into the lifeboat house. 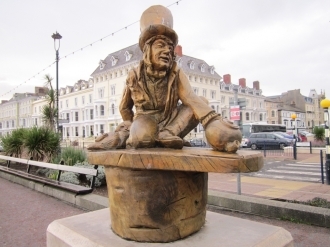 Wonderful statues by wood sculptor/artist Simon Hedger celebrate Llandudno's links with Alice in Wonderland. Follow the Alice trail! Thanks, Nicola. I'm delighted you like my pictures. I'm so pleased that other people are enjoying them. I hope you have a lovely week too. Thanks for dropping by. Thank you, Jen. Your support for my blog is always appreciated. I'm glad you like my photos. I'm so pleased to have had this chance to share them with people. I know that you of all people understand what it is to find your special 'home place.' Thank you for your good wishes - I'm sure we won't have any trouble at all in having many happy years here! Although I've found my own 'home place,' yours looks very special, Susanna. Good for you in following your dream, and wishing you and your husband many happy years in Llandudno. Such beautiful pictures and yes, I continue to live vicariously! Thank you for your kind comments, Cathy. 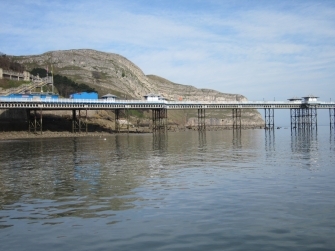 Yes, Llandudno is a truly beautiful place. We feel so lucky to live here - the novelty never wears off. Lovely to hear from you as always. Lovely photos, Susanna, and what a beautiful place it is, to be sure. I love reading how you came to live there. Your story is an inspiration. Wendy - you're right. 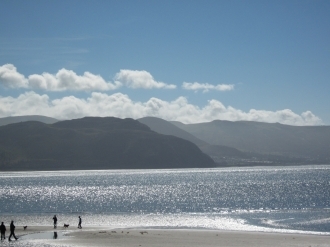 Llandudno and the surrounding area is stunning. People generally come here for the seaside, obviously, but inland we have the most beautiful countryside too. North Wales is the most glorious place. I hope you get to visit one day. Emma, forget what you've heard about the holiday season. 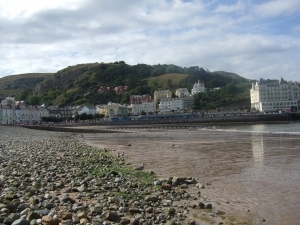 Llandudno was built as a holiday destination and it is wonderful when the place is full and busy. I'm pleased you like my photos. Nina, thanks for your comment. I'm glad you like my pictures. I have had a look at your website and your photos are gorgeous. Jan, thank you for dropping by. I'm glad you enjoyed my photos. 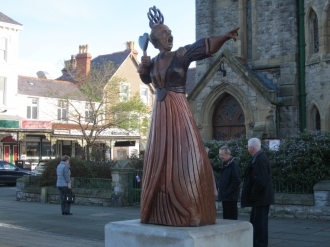 Llandudno has strong links with the Alice story and Simon Hedger's sculptures are just glorious. All the characters are dotted around the town. Julie, thank you for your generous remarks. I completely understand about wanting to live by the sea. The difference between us is that I always knew exactly whereabouts on the coast I wanted to be. Lovely to hear from you. 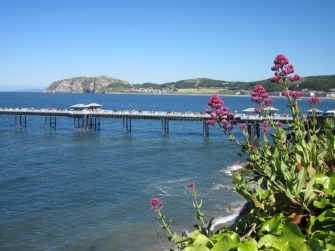 I've never been to Llandudno but it looks stunning. You've taken lovely photos. I used to want to live by the coast but changed my mind after hearing about the annoyances during the tourist season. 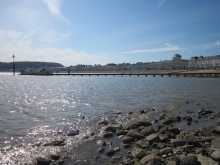 I'd love to live by the sea - beautiful photos, must be lovely to have the sea nearby. A lovely post, Sue. It's obvious that your move was the best decision. 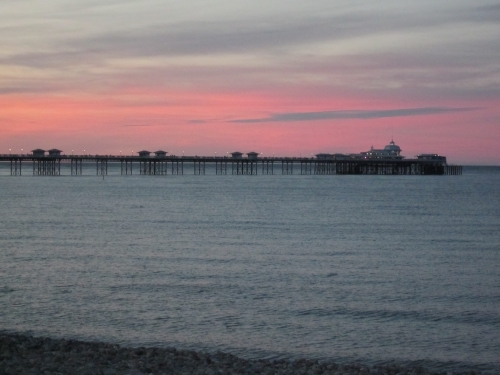 I love being by the sea and can only imagine what it's like to have those views every day. The photos are stunning. 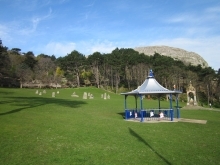 I didn't know Llandudno is home to the Alice sculptures. Aren't they lovely? Oh, Sue, you are a woman after my own heart! I love your story and your photos of your lovely new home. I long to live by the sea. I don't really know why and there's no particular place in my mind, although we have had some lovely holidays by the sea. I'm so glad your dream came true and your pictures are truly stunning. Hi, Maria. Thanks for dropping by. Sorry to hear about your being incapacitated for all that time. 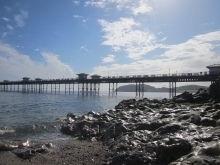 I'm pleased that visiting Llandudno is on your list of things to do now that you are well again. Thanks for your kind comment about how we moved here. Jessica, how lovely to hear from you again. I'm so glad you like my photos. The wooden sculptures are just stunning, aren't they? 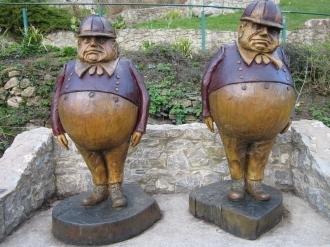 The whole set of Alice characters is dotted around the town and there is a history trail visitors can go on. Thanks for your kind words. 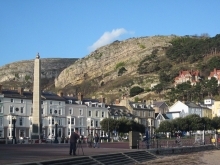 Had a lovely day trip to Llandudno three years ago, and loved the place. 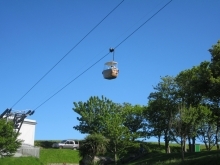 Had a second visit booked last year, but sadly had to cancel it due to being incapacitated and unable to walk for five months. Glad to say I am fully recovered and plan to visit again later this year, or early next year. Proud of you, for throwing in your jobs and everything that's familiar and taking a chance. What an adventure!